Beat This Caption Contest 11 Winner – Caption Contest Funny Clever Witty Enter Today! Hang on Girls, we’re almost to Hawaii! 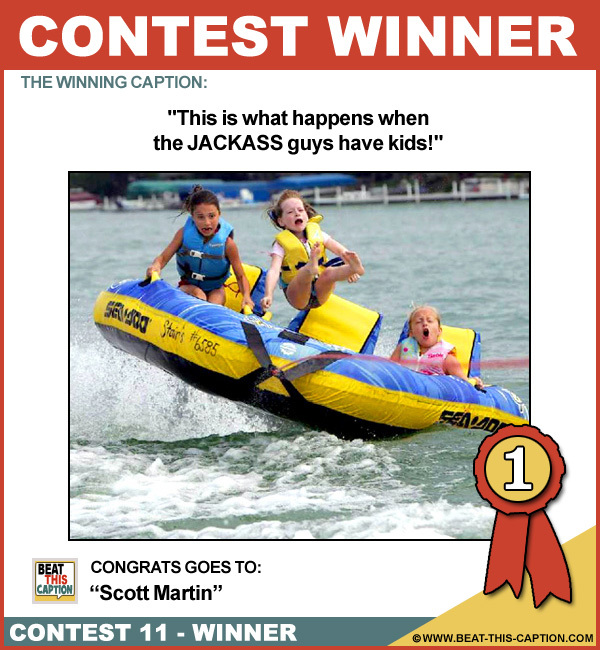 This is what happens when the JACKASS guys have kids! Alright, who put a trampoline in this raft? Looks more like a Sea-Don’t to me! Ditching the daughter you know isn’t yours…..Priceless! It was “Bring Your Child to Work Day” at Baywatch!